Too lazy to stand and queue? 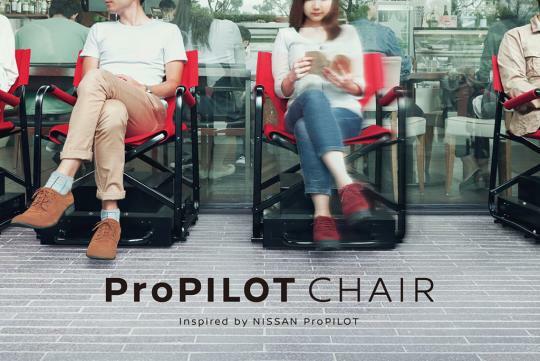 Nissan's ProPilot Autonomous Chair is here to spare users the hassle of standing in a queue. The chair, which has been named after Nissan autonomous driving technology, is programmed to automatically move along a fixed path by detecting and following chairs in front of it. It also knows how to get itself back into the start of the queue once its occupant reaches the end. According to Nissan, the chair "eliminates the tedious and physical strain of standing in line. The same user-friendly philosophy underpins Nissan’s ProPilot autonomous driving technology, which was designed to ease driver workload by assisting with the most tiring and repetitive aspects of driving in heavy highway traffic". Interested in the chairs and how they work? You can see them at the public gallery at the company's Global Headquarters in Yokohama, from 29th September to 2nd October where they will be exhibited.